When they returned to the puberty class the following week, they asked the instructor if she could put them in touch with such an organization. Her reply was unexpected. She said that the lack of feminine hygiene products was a huge problem, and that she didn’t know of anyone who was addressing it. But she was interested in helping if the opportunity arose. April recalled, “I left that evening and ruminated over her answer all night. It stuck with me. I couldn’t let it go. My quest began to grow into something more than a one-time service project. I contacted the homeless liaison for our school district and asked her the same question—What do you do for girls who can’t afford to buy feminine hygiene?” Sadly, she heard the same word—Nothing. It was a question the liaison had never asked before, either. At the time, there were approximately 200 girls of menstruating age that were homeless within the district; and April and Rachael knew that they needed to help. 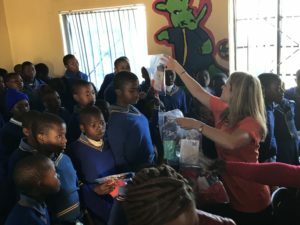 After beginning a massive collection of pads and tampons through Facebook, April stumbled upon Celeste Mergens, Founder and CEO of Days for Girls International. “I remember the day we connected over the phone. She shared her story and I shared mine. 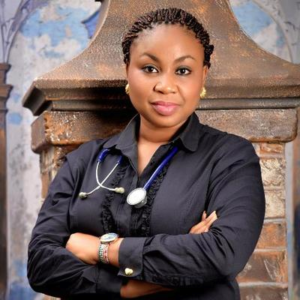 She started Days for Girls as a way to get pads to girls in Kenya in 2008 after visiting an orphanage there. She too had been disturbed by concerns over these girls, and their needs, waking in the middle of the night with the same burning question, “What do the girls do for feminine hygiene?” The answer again was, “Nothing.” Girls were sitting on cardboard for days, ostracized by their schoolmates and families—missing school. After distributing disposables in an attempt to help, she had learned that they had no sanitation in Kenya, as is the case in many countries. Disposable pads and tampons weren’t a sustainable or healthy option. And that’s where Days for Girls first started. At first washable pads were made by volunteers in her barn, and by a handful of dedicated sewists. At first glance the Days for Girls vision to provide sanitary needs and education to women around the globe by 2022 might seem far fetched and unreachable, but when you consider that in a few short years they have reached over 800,000 women and girls in 110 countries, and have inspired women to start or join over 1000 teams it seems as though their efforts have already had an immense impact—one that is connecting women and girls from around the world in a collaborative effort to serve and educate one another, creating light and hope in every situation. 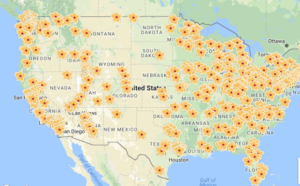 Looking at a world map that shows the places that now have a Days for Girls team working tirelessly towards their goal is impressive, with flowers representing their volunteers dotting the world, crossing borders and divides; flowers that stand in for the hundreds of groups of women coming together in almost every country, county, and state; working individually and together to help improve the lives of their sisters and daughters around the world. A more immediate goal is the Days for Girls current effort to reach over 1 million women and girls by the end of 2017, and they are well on their way. 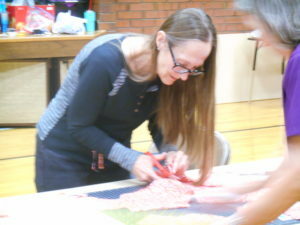 The volunteer efforts are diverse, and range from individual stitchers working in their home craft rooms to sew kits, bags, and shields one by one, to quilt shops hosting sew-a-thons, to a Guinness world-record-breaking day of service where over three hundred volunteers gathered to assemble 5,110 kits in 36 minutes, breaking the world record and stopping only after they ran out of supplies—and finishing with kits that filled shelf after shelf in a glorious array of colors and patterns. In the U.K. there is a woman who has converted her garden shed into an office where others can gather to help sew and serve, throwing afternoon garden parties and coffee mornings to raise funds and awareness among her community. 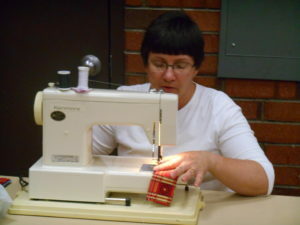 In the U.S. a young college student has donated over 60 hours to sewing the supplies needed to assemble the hygiene kits, one shield and bag at a time. 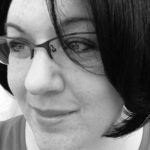 Every DfG volunteer seems to have followed their own unique path that led them to serve with the organization. For some it was the influence of a friend or family member, for others the need to serve in their community, and for some the pull to extend that reach beyond the their immediate sphere and into the larger world. But every volunteer I spoke with expressed the belief that they had been led to serve; and that serving women and girls around the world had brought them closer to the women in their own families and communities—and helped them heal some of the scars left from their own experiences. Although it sometimes seems that it is only in such far flung places as Sub-Saharan Africa, India, and Brazil that DfG is needed, that is not the case. After the recent hurricanes in Texas and Florida, many DfG groups donated hygiene kits to help women who had lost everything in the flooding and aftermath of Hurricanes Harvey and Irma. Sondra Hudgens, the Provo, Utah chapter leader, said, “We tend to think that these needs only exist in third world countries, but if we look, they are all around us. After natural disasters, definitely, but even among some of our most at-risk, low-income communities, including those women and teenagers that find themselves homeless.” This is something she and many other volunteers can relate to, having at times in their lives been in the position where basic sanitary options were not available, or they felt that asking for them would be a burden. 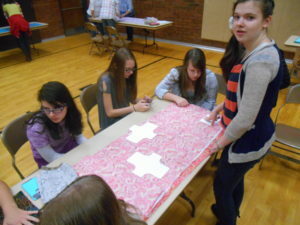 Sondra initially became involved with Days for Girls after helping to sew kits for her church congregation service project. 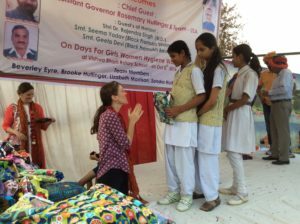 She helped to sew the pattern and make hygiene products for 72- hour emergency kits, and quickly became interested in the mission of Days for Girls. 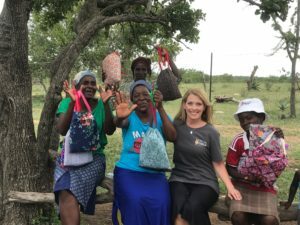 After the service project was over, Sondra started donating her time, sewing over 100 kits and donating them to the Democratic Republic of the Congo. But even with the hours that she was putting in, she felt she could do more. She quickly became an advocate in her neighborhood and community, and has now served as a chapter leader for three years. For Sondra, one of the most inspiring aspects of her service has been teaching other young women about the mission of Days for Girls. “They just get fired up,” she said, remembering times she has facilitated service projects at girls’ and teens’ camps and programs. “They identify with the experiences and the stories of these girls. They want to help.” She went on, “This is where girls need to be—this is where we need to be. The message and the work comes to you. We need to protect girls better. We need to help them do more than survive—we need to help them thrive.” This belief has led Sondra as far as India, where she helps train teachers to show others how to sew and how to educate in their own communities. One Days for Girls hygiene kit will last three years—and for every one of those years that a girl stays in school, there is a corresponding increase of 20% in her income over her lifetime. This allows them to break the cycle of poverty, and to help educate and support their own families and communities. More than simply providing hygiene kits, Days for Girls provides education and training, enabling women and girls to become advocates in their own countries, and key community members with the tools to meet their own and others’ needs far into the future.